Publisher: Ruth Nyaboe August 22, 2017 This information is provided solely as a guideline. Are you stuck for ideas for healthy lunch box recipes or wondering what to pack for lunch every day? Well, I have given few delicious and practical lunch box ideas for work (office), the school that is nutritious, healthy and also easy to prepare. 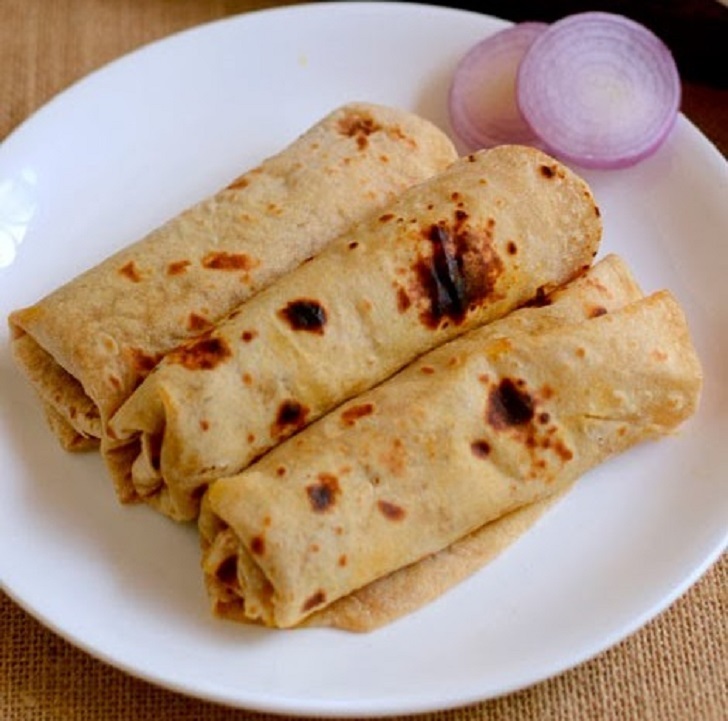 Today we will see how to make chapati rolls. ➧1 big green bell pepper (capsicum). ➧1 cup of natural yogurt. ➧2 (skinned & boiled) pieces of chicken breast (shredded). ➧Salt and black pepper to taste. ⏩Dice green bell pepper (capsicum), tomatoes and onion. Roughly cut lettuce into small bite-sized pieces. Grate cheese. Shred boiled chicken with a fork. ⏩Add 1 cup natural yogurt into chicken and season with salt and black pepper. Remove from heat. ⏩Lay Chapatti on a plate. ⏩Spread with chicken, green bell pepper (capsicum), tomatoes, onion, lettuce and grated cheese.